As believers in Jesus Christ, it’s natural to have a desire to be faithful. But our ability to perform may not always be as consistent as we desire. 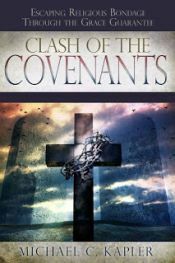 Whereas the Old Covenant was centered on the faithfulness and obedience of the people and their (in)ability to abide by all the commandments and rules under the law, the focus of New Covenant is highlighted in the faithfulness of God. 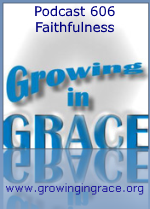 This faithfulness is centered on the obedience of Christ, which will never fail. He is the completion of our forgiveness, our hope, our life, righteousness, sanctification, and so much more. Even when our faithfulness towards Him waivers, His dedication and faithfulness towards us remains forever. Thanks for saying so, Jeff.